Sherry Fitzgerald Tom Fox is pleased to bring to the market this deceptively spacious 4 bedroom dormer bungalow. 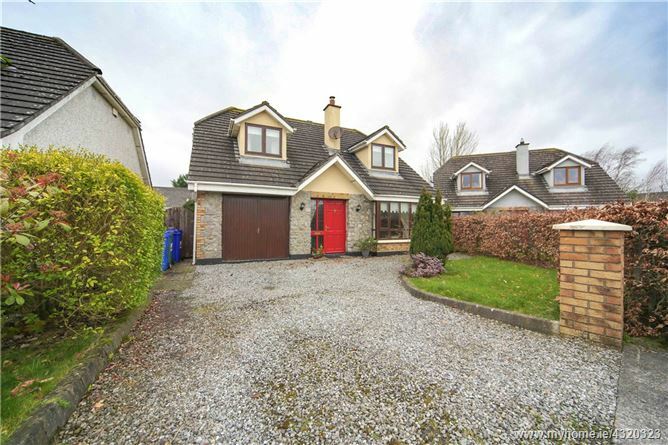 Killucan Manor is a development situated right in the heart of Rathwire village and is within walking distance of all local amenities. On entering the home the hallway has beautiful solid timber flooring, coving, guest wc & carpeted stairs. The sitting room at the front of the house has solid fuel stove with back boiler, solid timber floor, coving and a bay window that brings plenty of natural light to the room. The master bedroom is downstairs with en-suite shower room and the kitchen positioned to the rear of the property. The kitchen/dining room has tiled flooring & splash back, cream fitted units and integrated appliances. French doors lead to back garden. Off the kitchen is a utility room with fitted units and back door. Upstairs, off a bright landing, are three more double bedrooms, two with laminate flooring and one with carpet. Fitted wardrobes in two and one with walk in wardrobe. The family bathroom is fully tiled with bath, wc, whb and a separate shower unit. garage with potential to convert into another room. The back garden has cobblelock and is in lawn. Rathwire is a quaint village adjacent to Killucan village with local amenities including schools, shops, bars and restaurants all nearby. The larger towns of Kinnegad and Mullingar are approx. 10 mins and Dublin city centre is 65km. Living Room 5.000m x 3.992m. Solid timber floor, coving, solid fuel stove & bay window.